Both government officials and economic analysts all agreed that the European Commission will sooner or later eliminate Everything But Arms (EBA) trade scheme from Cambodia after she graduated from the LDCs; however, that does not stop Cambodia from growing. Cambodian premier Hun Sen warned against interference in the country’s affairs on Tuesday, his first comments since the European Union (EU) launched steps to cancel trade benefits that would hammer the local garment industry. Cambodia’s Interior Minister Sar Kheng has condemned authorities in Sihanoukville and Kratie provinces for using military force to enforce orders of the court in recent land dispute cases. The former head of Cambodia’s main opposition party, Sam Rainsy, has warned Chinese nationals and investors in Cambodia to be sensitive to Cambodian culture and the political situation in the country. After 65 days of being held in the Banteay Meanchey provincial prison, some of the 47 detainees finally got to meet their loved ones who flew all the way from Malaysia today. Cambodia Post, the agency responsible for providing postal services in the Kingdom, generated US$13 million as national income in 2018. Economic analyst Khoun Bunny said on Tuesday that the loss of the EU’s preferential Everything But Arms (EBA) agreement could be a golden opportunity for Cambodia to show it deserved to be ranked sixth on the list of the world’s fastest-growing economies. Samdech Krohom Sar Kheng has asked officials in the drug unit to conduct research into the effects of marijuana. Cambodia is going to create One Window Service Office (OWSO) at all districts/Khan across the country in order to improve service provision for the public. 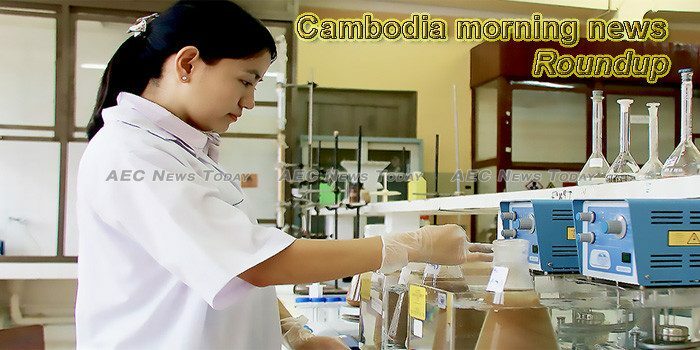 Cambodia produced in total 220,100 tons of rubber last year and most of the product was exported, according to a report from the Ministry of Agriculture, Forestry and Fisheries. The Cambodian Disabled People’s Organisation is urging the public and private sectors to implement disabled-friendly restroom standards by expanding entrances and providing ramps. Following the Coup in the former Cambodia’s National Rescue Party to overthrow Kem Sokha from the party’s leadership, Sam Rainsy – who were convicted in numerous legal cases – has been attempting to stir Cambodia’s political situation by appealing to the foreign donors to cut off their assistances, the investors to cease their investments and the purchasers to stop ordering goods from Cambodia. Local authorities have begun to trap trash floating in the various canals and drainage points in an effort to stop waste flowing out into the sea and washing up on the beaches. Yunnan province of the People’s Republic of China has opened a trade centre in Phnom Penh to promote and disseminate updates of trade, tourism and culture between the two countries. The situation along the borders with neighbouring countries is calm, although there are still some issues to be resolved, the Interior Ministry said today. Residents in Preah Vihear province are asking the government to allow local communities to take part in the management of the Prey Lang protected forest. Cambodian Prime Minister Hun Sen reassured that Cambodia will not return to poverty like in the past. Information Minister Khieu Kanharith yesterday confirmed that the draft law on Access to Information has been inserted into the 6th mandate of the government’s strategic plan. The Kingdom of Cambodia and the People’s Republic of China will sign the Agreement on the Cooperation on Projects of the Mekong-Lancang Cooperation Special Fund in Phnom Penh tomorrow morning. The government reshuffled members of the National Committee for Coastal Management and Development in late January, according to a government statement received by The Post on Tuesday. The Ministry of Industry and Handicrafts and GIZ on Monday launched the Micro, Small and Medium Enterprises (MSME) Development Programme, a project that aims to improve management, production and quality standards among local enterprises. A senior national anti-drug official on Tuesday called on authorities, educators, students and all citizens to help prevent drug use and trafficking. Rice exports in January saw a small decline that exporters have blamed on the European Union’s decision last month to impose tariffs on local rice. Membes of Battambang province’s forest community and relevant authorities on Tuesday claimed that over 100ha of forest land in Samlot Protected Area have been illegally cleared by wealthy citizens and armed forces in order to place it under their ownership. The Royal Government of Cambodia is planning to increase the budget allocation up to US$110,000 by 2023 to sub-national administrations. Prey Preah Roka Wildlife Sanctuary environmental rangers collaborated in patrols with forestry activists in a crackdown on illegal logging, apprehending two suspects, sending one to Preah Vihear Provincial Court, according to an official close to the matter on Tuesday.